Hello comrades , I have a question as we all know.The present time only about possible conflicts between Israel and Iran, so as far as I know, the F-14A is still the backbone of the Iranian army, but old electronic system (which may haveupgraded by Russia), but maneuverability almost Su-27 (ie more than the F-15I) and long-range missiles AIM-54 phoenix.Sure would be a real threat to the F-15I of the Jews? Pretty sure the Iranian F-14s have not been upgraded by the Russians... I rather doubt the Iranians would let them any where near their primary fighter. 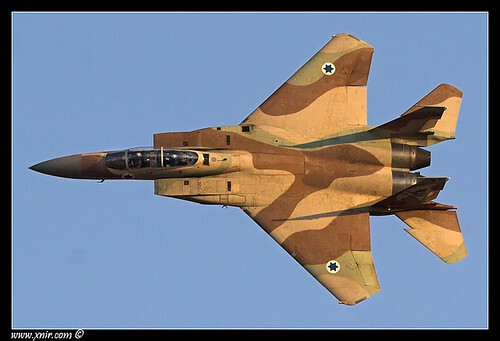 As such I would think Israeli F-15s would be a serious problem for the Iranians for most of the same reasons modern western fighters are a problem for old model exported Russian fighters with old obsolete missiles. I wonder how operational the F-14s are at this point...have to go with the F-15s here. I am darn sure Russia did not bring about any improvement in the F 14 of the Iranians . The F 14 is not designed as an open architecture platform so there is zero possibility of Russian EW systems being incorporated . Also , FYI the F 14 was a pretty mediocre aircraft that was hurridly rushed into production to replace the F 4 .
indochina wrote: Sure would be a real threat to the F-15I of the Jews? No it would not be of any threat to Israel . In any air combat between Iran and Israel , Iranian fighters will be dogmeat for the Israelis . Now, not even for a moment am I saying that the Iranians are not good fighter . Far from it. However , neither do they have the quantity ( 25 on last count ) nor the quality to take on the Israeli Air force ( IAF) . Iran's best chance is to strike it's adversaries with IRBMs like the Shahab series . I suspect most Iranian F 14s will be shot down in a BVR conflict , so the chances of a WVR is very remote . Iran does NOT possess any BVR missiles like the R 77 so it cannot engage Israeli jets in a BVR conflict . Who is still saying, that the F14 A is an old plane and can't match with newer aircrafts? Posted by Dario Leone in Aircraft Carriers, Military Aviation. On Sept. 22, 2006 after 36 years of service, the last F-14 Tomcat was retired by its main operator, the US Navy, at NAS Oceana. Although six years have passed since then, there are many unknown facts to be told or simply to be remembered about the last Grumman’s (now Northrop-Grumman) fighter. One of these often untold stories dates back to Apr. 2003 when, in the midst of Operation Iraqi Freedom (OIF), the Tomcats of the VF-154 Black Knights were embarked aboard the USS Kitty Hawk (CV-63). The US Central Command (CENTCOM) ordered to VF-154 to detach five of its F-14A (BuNos 158620, 161296, 161288, 161292 and 158624) and five of its crews to Al Udeid air base, in Qatar. This was the first time in history that US Navy aircraft were tasked to fight a war from both ashore and at sea at the same time. The five Black Knights’ Tomcats were dedicated to provide Forward Air Controller (Airborne) or FAC(A) and Strike Coordination and Reconnaissance (SCAR) for Coalition fast jets (such as USAF F-16CGs and F-16CJs, RAAF F/A-18As and RAF Tornado GR-4s) deployed to Al Udeid. The VF-154 Tomcats crews also had to train USAF F-15E crews to conduct FAC(A) and SCAR missions. During this shore-based period a VF-154 F-14A (BuNo 158620 callsign “Nite 104”) crashed because he suffered a single engine and fuel transfer system failure forcing the crew to eject. However during this special period the five Black Knights’ crews were able to accomplish more than 300 combat hours dropping more than 50,000 lbs of ordnance. These results were possible even if the Tomcat had some disadvantages when compared directly to some of the attack planes mentioned above: for example, the Strike Eagle has a maximum payload far superior than the one of the Tomcat and the F-14A could only employ Laser Guided Bombs (LGB) and it was not able to use Joint Direct Attack Munitions (JDAM) due to a lack of a digital databus (the Bs and Ds-models Tomcat could use JDAMs). Still, the F-14 had also some advantages: the AN/AAQ-25 LANTIRN (Low Altitude Navigation and Targeting, Infrared, for Night) pod used by Tomcat crews was more capable than the USAF’s AN/AAQ-14 and also than the first AN/AAQ-28s Litening II. In fact the AN/AAQ-25 provided the Tomcat with the capability to point the pod to chosen waypoints without the employment of radar, an ability that the F-15E didn’t have. The F-14s were also equipped with a Programmable Tactical Information Display System (PTIDS) and 20 cm X 20cm screen that provided the Radar Intercept Officer (RIO) with a better display than the Weapons System Officer (WSO) in the F-15E. All these features made the F-14 a really impressive attack platform- as a Tomcat driver once explained: “With the Strike Eagle you can put the bomb on the building. With the Tomcat you’ re putting the bomb into the third window from the left, from miles away”. indochina wrote: and can't match with newer aircrafts? If the F 14 A is indeed such an outstanding aircraft why did they decommission all of these ? USAF still flies the F 16 an aircraft that first entered service ( 1978) roughly at the same time that the F 14 ( 1974) did . Again decommissioned . Was highly publicised but was largely an average BVR missile .In a BVR engagement a bogey could perform a 30 degree check turn and go down to a lower altitude to counter a AIM 54 shot. The Aim-54 also had a number of problems with their fuses (aside from not meeting production schedules, running over budget, and problems with maintaining quality control). I think it was their mistake (USA), as they had left the M551 light tank firing ATGM through the barrel of a cannon, or assault rifle AR10 better than M16. You do not know what to lobbying?this is the competition for aircraft carriers and McDonnell Douglas F/A-18 won before the Grumman F-14, like the case of Sukhoi 33 and MiG 29K. According to some information I read, the Iranians have had a few changes to the AIM-54, they even built a replacement battery for 79 batteries expired when the Americans left. And that is the secret, today Americans remain AIM-120C / D ((185-190 km) as a replacement for the AIM-54. I tend to agree with most of the points made by Sujoy, but would add that the jet engine of the F-14A was terrible for a fighter... it made the F-111 an excellent long range strike aircraft but for close in turning and burning it was a poor engine. The Phoenix was designed to shoot down backfire bombers and high speed missiles, not fighters or tactical aircraft. GarryB wrote: I tend to agree with most of the points made by Sujoy, but would add that the jet engine of the F-14A was terrible for a fighter... it made the F-111 an excellent long range strike aircraft but for close in turning and burning it was a poor engine. A downgraded export model Mig-23 from the 1980s can't really be considered a great feat... the missiles were younger and the enemy pilots were dumber and likely had no idea they were under attack till their aircraft exploded... the likely result of that being their tactic of turning and running away when they detected an F-14 which means a straight flying target... ideal for the Phoenix missile. I don't think the Iranians would risk losing their F-14s & pilots, they'll rely on other less valuable fighters & S-300/400 & older systems to engage the Israeli &/ American F-15/16/18/35s. It's probably a ground/air launched long range CMs or improved IRBM. Iran will respond with whatever can get the job done best. The last thing they should do is try a half-measure, fail and see the very thing they wish to protect go up in flames. Good luck to them, but I doubt their pilots r any more skillful than Jordanian, Iraqi, Syrian & Egyptian pilots from the past wars! The F-15Is will be escorted by smaller fighters. Parts of Iran have similar terrain features as in the videos. Israel can attack with LACMs from its subs in the Red/Arabian Sea & Gulf of Oman w/o risking losing any planes & pilots. To be honest, there is nothing IRIAF has that is a threat to the Jews. They have the best the American welfare can buy while Iran tries to maintain 40 year old rust buckets under sanctions. There is nothing stopping IRIAF from ordering Su-35s and MiG-35s which would be needed to counter the IDF. Even if IRIAF had several squadrons of perfectly maintained F-14As, which they don't, the ECM capabilities of Israel would nullify the obsolete AIM-54 easily. Iran claims several kills with the missile but the Americans tried using it over Iraq and missed every time. It puts into perspective how accurate that missile really was. 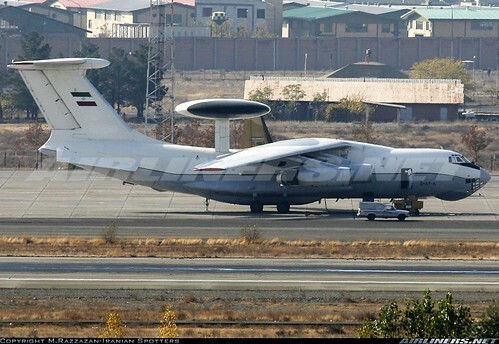 Vladimir79 wrote: To be honest, there is nothing IRIAF has that is a threat to the Jews. They have the best the American welfare can buy while Iran tries to maintain 40 year old rust buckets under sanctions. There is nothing stopping IRIAF from ordering Su-35s and MiG-35s which would be needed to counter the IDF. Even if IRIAF had several squadrons of perfectly maintained F-14As, which they don't, the ECM capabilities of Israel would nullify the obsolete AIM-54 easily. Iran claims several kills with the missile but the Americans tried using it over Iraq and missed every time. It puts into perspective how accurate that missile really was. I've seen somehwere that aim-54 did well during iran-iraq war against iraqi mirage F1 but once french gave special ecm to counter it, the Pk was 0%. I don't if this story is true but US removed aim-54 because it wasn't reliable anymore and prefere aim-120 instead. Anyway they should buy more pantsir S1 to counter israel. There won't be aerial war between them, only a big attack from israel with stand off weapons and cruise missile. Some AWACS to see them coming, and some long range surveillance radar mounted on a mountain or on a ballon to have a constant awerness would be better than few sukhoi that will have harder time dealing with cruise missile than a line of air defence around probable targets. AIM-54 had very low g-turns so it was pretty easy to dodge it in a fighter. It was designed to take out bombers. The versions Iran had were early generation, even the upgraded ones the last Tomcats had were not very reliable. As far as Iranian claims of kills they did not visually see... who knows. No one has ever confirmed what each Iranian pilot said. Israel has found the way to defeat Pantsir with its Delilah missile. Either that or the Syrian AD crew was sleeping in the middle of a massive air strike. If that is the case I would order them taken to the nearest firing squad for dereliction of duty. Having a strong IADs can cause many casualties to your enemy, but it will not solve the problem especially when Israel can lob cruise missiles out of range. You need serious CAP that can intercept them. Iran can use its last F-14s as cannon fodder and maybe take out an AWACs while the real fighters of Russian origin handle the business end. Pantsir was destroyed because the soldier had the very good idea to turn it off in the middle of an airfield being bombed ... The drone was slow and they would have deal with it pretty easily. The video shows all that very well. Russian pantsir in syria have destroyed smaller drones than the one israeli used against the pantsir at ranges of 10-15 km. They even destroyed BM-21 rockets at decent ranges. Actually, even CMs will be useless since Iran's nuclear sites worth destroying to set it back a few years r deeply buried underground or inside mountains; bunker busters will be needed instead. Israel won't be able to do it as well as the US; that's 1 of the reasons they haven't done it yet. Neither Iran nor Israel can destroy each other, but the former may soon withdraw from the deal like NK did from the NPT thanks to all the threats in their address. Russia may even declare that any attack on Iran will be treated as an attack on herself &/ militarily intervene there, & perhaps in Afghanistan as well, as in Syria. Her Caspian Flotilla & Pac. Fleet can help defend it well. The PLAN may join in it too. Iran is sitting on black gold, all they have to do is ship it to us via the Caspian and it will pay for arms purchases. They don't want to do that because they want hard cash. They would rather let their oil tankers rust full of oil than rearm themselves if it doesn't include a pay day. They are corrupt like all the others. Then US will sanction you and them more. EU already proved to be weak against US sanction, Total left iran last week. China won't be dependent on only Iran for oil and that won't be enough to make the country better, only make rich a few hundeds people. From one day to another, iran became US best ally to US worst enemy. Tomorrow if another evolution happen, they could become your enemy again and US best ally. Then guess where will their missiles points at ? You. With all the technologies that you will sell them going to US. I would create special version for them of mig 35 for air force and special missiles. Just in case. Corruption will be millions time bigger once they get richer. Making a country better is risky. Putin did very well with russia, that's why I see him as a good politician. Iran is far from having a good situation. As H. Kissinger said: "to be a US enemy is bad, but to be it's friend is fatal". The Iraqi Shiites don't trust the US; why should any Iranian Shiites switch sides even under a new regime? Pakistan & India tried it & failed. In the long run, what Israel & US give Iran that it can't get from Russia, China, Pakistan, India & Iraq? A promise that it won't be attacked or subverted again, lifting of all sanctions, & military aid with protection? Iran can survive w/o $ & all of the above better by standing its ground, just like NK. The probability of Iran becoming a US ally before & if it implodes is ZERO, even if it wanted to. The US & Israeli elites just want to break it apart into more manageable parts so they could be controlled & plundered, esp. after failing in Iraq, Libya & Syria. The Russian supplied weapons will be destroyed, interned &/ sold before they could be used against her or her allies. But Israel would ally with the Gulf States to fight Iran- as they already done in Syria & Yemen with air raids & by proxies. Israels found a way to destroy Pantsir? Yeah, let me give you a hint how they figured it out - Soldiers not even in the system, all missiles launched from its tube, so it sat idle and off.